The Newly designed 2018 model of European specs Ford Mustang is revealed at Frankfurt Motor Show 2017. The company has added some new features along with experimented looks and making it suitable for European culture as compared to the US spec version of Ford Mustang. The new Mustang is upgraded with engine and suspension; the 5.0-litre V8 engine is upgraded to deliver 450 BHP and higher rev-limit, with the updated 10-speed automatic gearbox and optional 6-speed manual mode. Apart from these, the new types of equipment are added, which includes a fresh cabin with digital dials, driver assists feature, an active exhaust, new MagneRide suspension, new LED lights, and multifunctional driving modes are ready to flaunt the European market. The appearance is just changed from the previous version. The new 2018 Europe model will be available with improved LED lighting, 3-D tri-bar tail lights, enhanced front light to showcase upper grille, 11 exterior color options, and new alloy wheel options. Interestingly, first time there is semi-autonomous driver assists; which includes pre collision assist with pedestrian detection, lane keeping aid, a driver alert system, and skilled cruise regulator, also driver can save the favourite driving settings in My Mode function. 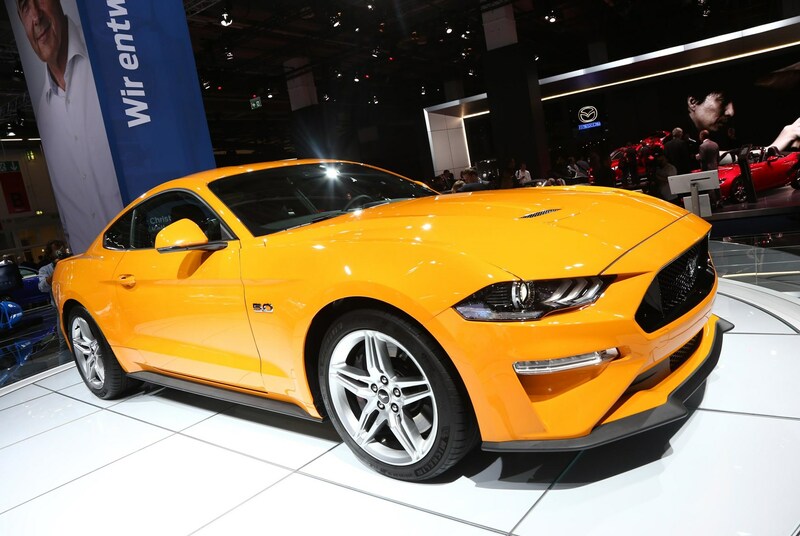 The Ford Mustang has rivals like BMW M4 and Lexus RC F and it is expected to come in the UK market by 2018. The final price and attributes are not shown clearly yet but it will be according to the UK market that is for sure.